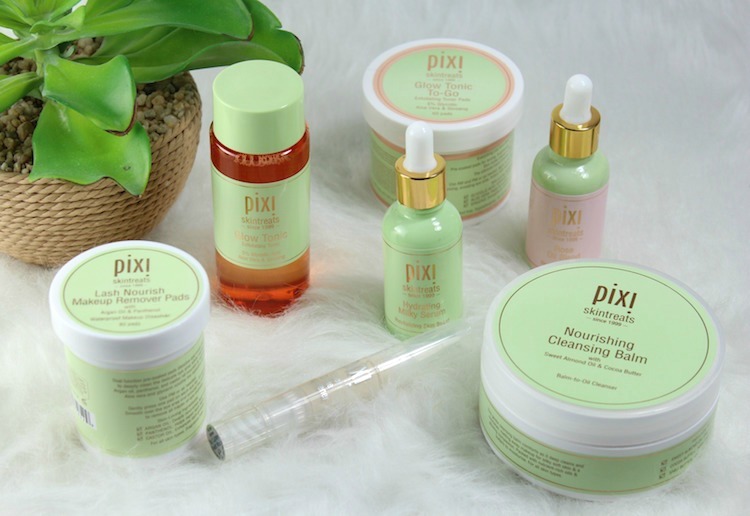 Some of the hidden gems in the Pixi Beauty Collection are the Skintreats. A tightly edited collection of basic skincare that everyone can use, Skintreats are exactly what you need to get your glow back. 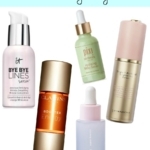 The Glow Tonic is probably the most well-known Skintreats staple, but there are so many more! 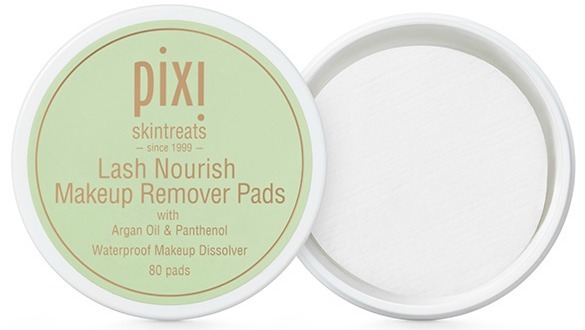 There are approximately 14 Pixi Beauty Skintreats products so far–and none over $24! What I like is that the line doesn’t overthink the offerings. Not a million specialty products, no complicated regimens, and you don’t need to have a Ph.D to figure out when or how to use. Glow Tonic is the original “Skintreat”, this toner has a 5% Glycolic Acid formula to help brighten and even out your complexion. It’s lightly fragranced and alcohol-free. If you shop at Target, this is the one product you might not see on the shelf, because it’s so popular! 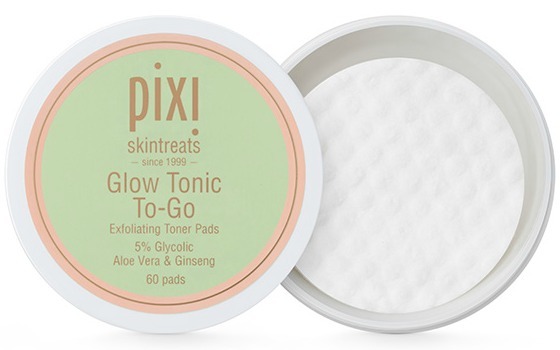 The product I’m never without are the Glow Tonic To-Go Exfoliating Toner Pads. I just love the convenience of these pads. They have the same formula as the Tonic, but are pre-moistened. 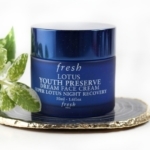 I use one nightly after my cleanser…so refreshing! Rose Oil Blend is a nourishing face oil formulated with Rose Oil, Pomegranate Oil and Rose Geranium Oil. It seriously smells amazing! 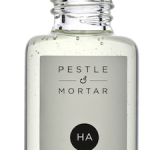 You can use on your face (after cleansing and toning), or you can add a drop or two to your moisturizer. Don’t tell, but I’m actually applying a drop of the Rose Oil Blend to my cuticles, which are in the worst shape, and it’s really helping! Hydrating Milky Serum is a product that can be used by all skin types for a hydration boost. If you haven’t started using serums yet, this is an excellent one. What I like is that it helps with dehydrated skin, helps restore radiance and elasticity, making it a good anti-aging choice. As someone with dark undereye circles, I need all the help I can get. The Eye Zone Brightener is an illuminating gel-serum that helps to illuminate, depuff and soothe the undereye area. I like to apply to clean skin before I apply any makeup. If you work on a computer all day, this is a nice product to apply as needed, as it cools, too. The Lash Nourish Makeup Remover Pads are great if you wear waterproof mascara. Since I’m constantly testing a variety of mascara formulas, these pads have come in really handly. You press onto the eye area for 10 seconds and then sweep over the eye area to remove all traces of makeup. Nourishing Cleansing Balm is one of the newest products, and if you need intense moisturizing while cleansing, this is for you. This is a balm-to-oil cleanser that contains sweet almond oil, shea butter and Vitamin E, so it removes makeup effectively while leaving skin soft and hydrated. I do use a “double cleanse” method with this balm, but if you have dry skin, you can probably skip that. 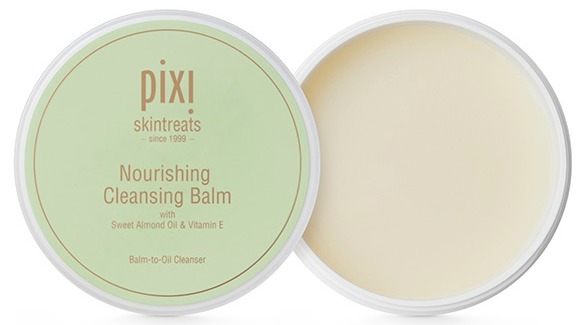 You can find Pixi Beauty Skintreats at Target and at pixibeauty.com. 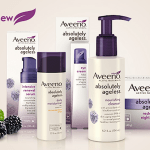 Have you tried any of these products yet? I’d love to know your thoughts and favorites!